- Houston is 9-5 straight up and 8-6 ATS against OKC over the last three seasons. - Houston is 6-15 ATS in games after scoring 115 points or more in the previous contest. The Rockets won, 127-101, against the Sacramento Kings in their last game. - OKC is 19-9 ATS in games after scoring 115 points or more in the previous contests. The Thunder won, 117-95, against the Memphis Grizzlies in their last game. - The total has gone over in five of the last seven Houston games. - The total has gone over in 12 of the last 15 OKC games. 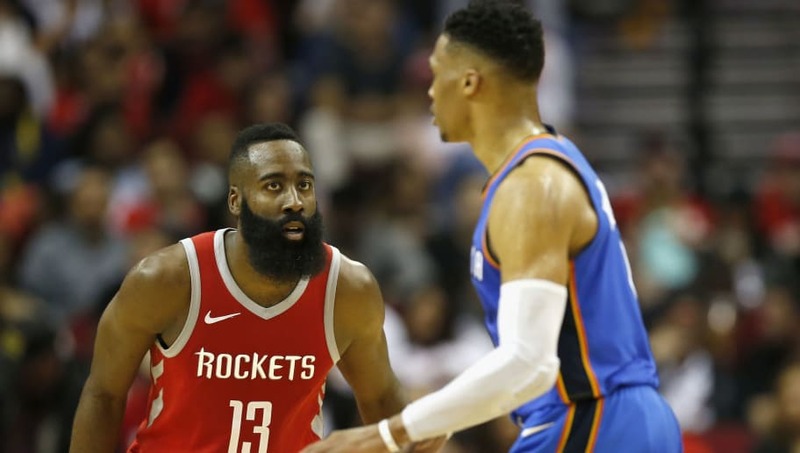 All Thunder vs Rockets betting odds, lines and props are available on FanDuel Sportsbook. - James Harden: Over 52.5 Points + Rebounds + Assists (-118) – The Beard has exceeded this 52.5-mark in six of the last 10 games. Tonight, he'll be highly motivated for a primetime showdown with triple-double extraordinaire Russell Westbrook. Notching one of his own shouldn't be too much of a problem, given that he's on one of the ​most ridiculous runs in NBA history. To show just how valuable Harden has been to the Rockets, he has the 10-highest ​FanDuel fantasy point total over their last 10 games – that means he is doing literally everything for this team right now.